Search engine optimization is more like juggling. Even without knowing how it works, you will fail and most often you will fail in an awesome way. SEO is one of the most important factors that help a website secure a safe search engine ranking. But despite its vitality, there are times when you don’t know why your efforts are not working. Here are some ways in which you may fail in SEO. Take note on them and try your best to improve yourself. Not being up to date: Even the big corporations which handle high volume online sales often seek help of SEO experts who learned optimization about 10 years ago and then never made it a point to update their knowledge. In an ever-evolving field like search engine, this approach is a complete recipe for failure. Whenever you implement an SEO strategy without the required knowledge, this can be problematic at various levels. You won’t be able to outperform your competitors who might have been leveraging some other cutting-edge strategies. Lack of stamina: Something that is important for you is that you endure the fight for all the other rounds and then continue standing at the end of the bout. 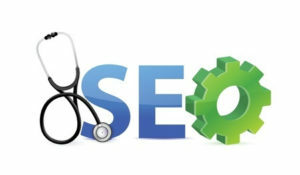 One of the main requirements for achieving SEO success is your ability to stay at the course. You should have sufficient budget which should be spread wisely throughout the entire duration of your campaign. Don’t spend it in fits and starts as that would lead to inevitable failure. Very low ambition: Since excellent SEO can definitely be a costly affair, there are often optimizers who justify the expense when they have modest goals. When the leaders of business realize the amount of effort that goes into accomplishing best results, they prefer scaling down targets and settling down for less. That is yet another surefire way of failing with search engine marketing. If you’re not able to see the bigger picture, you would not be able to obtain high ranks and create perfectly optimized pages. Steer clear of the mistakes which undoubtedly lead to failure. Don’t forget that sustainable SEO takes enough time to deliver the toughest impact. Have enough trust and confidence on your SEO team and simply keep focusing on the outcome. That is how you can avoid failures.